"Feb." redirects here. For other uses, see FEB.
February is the second and shortest month of the year in the Julian and Gregorian calendar with 28 days in common years and 29 days in leap years, with the quadrennial 29th day being called the leap day. It is the first of five months to have a length of fewer than 31 days (the other four months that fall under this category are: April, June, September, and November), and the only month to have a length of fewer than 30 days, with the other seven months having 31 days. In 2019, February had28 days. The Southern Hemisphere is the half of Earth that is south of the Equator. It contains all or parts of five continents, four oceans and most of the Pacific Islands in Oceania. Its surface is 80.9% water, compared with 60.7% water in the case of the Northern Hemisphere, and it contains 32.7% of Earth's land. In phonology, particularly within historical linguistics, dissimilation is a phenomenon whereby similar consonants or vowels in a word become less similar. For example, when a sound occurs before another in the middle of a word in rhotic dialects of English, the first tends to drop out, as in "beserk" for berserk, "suprise" for surprise, "paticular" for particular, and "govenor" for governor – this does not affect the pronunciation of government, which has only one, but English government tends to be pronounced "goverment", dropping out the first n.
Februarius or February, fully the "February month", was the shortest month of the Roman calendar. It was eventually placed second in order, preceded by Ianuarius ("January") and followed by Martius. In the oldest Roman calendar, which the Romans believed to have been instituted by their legendary founder Romulus, March was the first month, and the calendar year had only ten months in all. Ianuarius and Februarius were supposed to have been added by Numa Pompilius, the second king of Rome, originally at the end of the year. Julius Caesar decided in 46 BC to move the start of the calendar from the beginning of March to the beginning of January. The Amburbium was an ancient Roman festival for purifying the city; that is, a lustration (lustratio urbis). It took the form of a procession, perhaps along the old Servian Wall, though the length of 10 kilometers would seem impractical to circumambulate. If it was a distinct festival held annually, the most likely month is February, but no date is recorded and the ritual may have been performed as a "crisis rite" when needed. 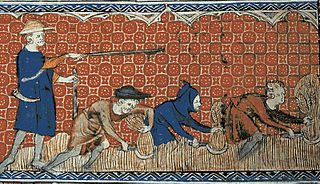 Sementivae, also known as Feriae Sementivae or Sementina dies, was a Roman festival of sowing. Easter, also called Pascha or Resurrection Sunday, is a festival and holiday celebrating the resurrection of Jesus from the dead, described in the New Testament as having occurred on the third day of his burial after his crucifixion by the Romans at Calvary c. 30 AD. It is the culmination of the Passion of Jesus, preceded by Lent, a forty-day period of fasting, prayer, and penance. A moveable feast or movable feast is an observance in a Christian liturgical calendar that occurs on a different date in different years. November is the eleventh and penultimate month of the year in the Julian and Gregorian Calendars, the fourth and last of four months to have a length of 30 days, and the fifth and last of five months to have a length of less than 31 days. November was the ninth month of the ancient Roman calendar. November retained its name when January and February were added to the Roman calendar. November is a month of late spring in the Southern Hemisphere and late autumn in the Northern Hemisphere. Therefore, November in the Southern Hemisphere is the seasonal equivalent of May in the Northern Hemisphere and vice versa. In Ancient Rome, Ludi Plebeii was held from November 4–17, Epulum Jovis was held on November 13, and Brumalia celebrations began on November 24. These dates do not correspond to the modern Gregorian calendar. 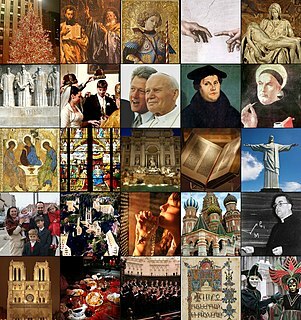 The Revised Julian calendar, also known as the Milanković calendar, or, less formally, new calendar, is a calendar proposed by the Serbian scientist Milutin Milanković in 1923, which effectively discontinued the 340 years of divergence between the naming of dates sanctioned by those Eastern Orthodox churches adopting it and the Gregorian calendar that has come to predominate worldwide. This calendar was intended to replace the ecclesiastical calendar based on the Julian calendar hitherto in use by all of the Eastern Orthodox Church. The Revised Julian calendar temporarily aligns its dates with the Gregorian calendar proclaimed in 1582 by Pope Gregory XIII for adoption by the Christian world. 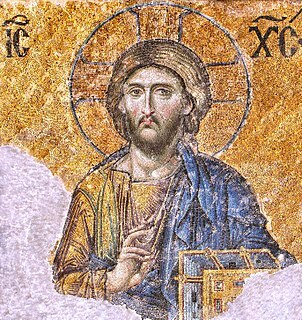 The calendar has been adopted by the Orthodox churches of Constantinople, Albania, Alexandria, Antioch, Bulgaria, Cyprus, Greece, Poland, and Romania. 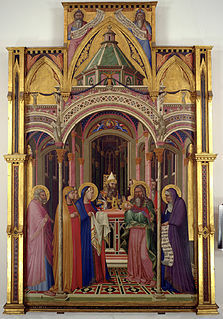 The Presentation of Jesus at the Temple is an early episode in the life of Jesus, describing his presentation at the Temple in Jerusalem in order to officially induct him into Judaism, that is celebrated by many Christian Churches on the holiday of Candlemas. It is described in the Gospel of Luke of the New Testament in the Christian Bible. 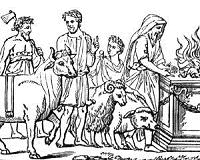 Within the account, "Luke's narration of the Presentation in the Temple combines the purification rite with the Jewish ceremony of the redemption of the firstborn ." The Eastern Orthodox Liturgical Calendar describes and dictates the rhythm of the life of the Eastern Orthodox Church. Passages of Holy Scripture, saints and events for commemoration are associated with each date, as are many times special rules for fasting or feasting that correspond to the day of the week or time of year in relationship to the major feast days. The March equinox or Northward equinox is the equinox on the Earth when the subsolar point appears to leave the Southern Hemisphere and cross the celestial equator, heading northward as seen from Earth. The March equinox is known as the vernal equinox in the Northern Hemisphere and as the autumnal equinox in the Southern. 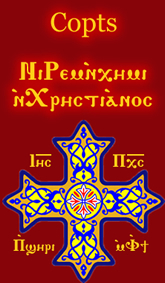 The Pentecostarion is the liturgical book used by the Eastern Orthodox and Byzantine Catholic churches during the Paschal Season which extends from Pascha (Easter) to the Sunday following All Saints Sunday. ↑ "February | Definition of February by Merriam-Webster". Merriam-webster.com. Retrieved 2016-09-17. 1 2 "Koledar prireditev v letu 2007 in druge informacije občine Dobrova–Polhov Gradec" [The Calendar of Events and Other Information of the Municipality of Dobrova–Polhov Gradec](PDF) (in Slovenian). Municipality of Dobrova-Polhov Gradec. 2006. Archived from the original (PDF) on 2013-11-02. ↑ Vasmer, Max, ed. (1972). "Zeitschrift für slavische Philologie". 36–37. Markert&Petters: 115. ↑ "Slovenska imena mesecev" [Slovene Names of Months]. Kmetijske in rokodelske novice. 6 (37). 13 September 1848. ↑ Bogataj, Janez (2005). "Slovenska mitologija – Vesna" [Slovene Mythology – Vesna]. Bilten; poštne znamke [Bulletin: Postage Stamps] (in Slovenian, English, and German) (56). ISSN 1318-6280. ↑ "Zodiac Signs". Mistupid.com. Retrieved 2016-09-17. ↑ "Birth Month Flowers". Babiesonline.com. Retrieved 2016-09-17. 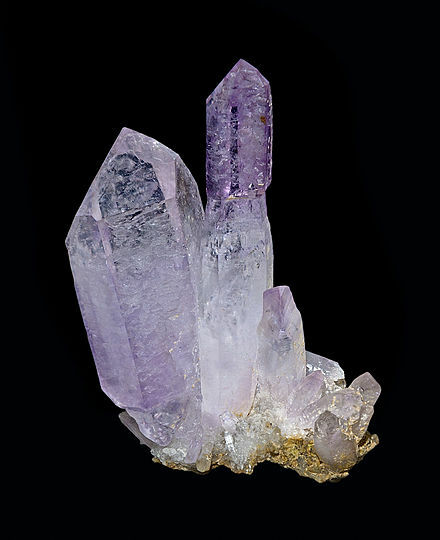 ↑ "February Birthstone | Amethyst". Americangemsociety.org. Retrieved 2016-09-17. ↑ "National Children's Dental Health Month". American Dental Association. 2017. Retrieved September 23, 2017. ↑ "Lenten and Paschal Cycle". oca.org. Archived from the original on 2016-12-05. ↑ "Lenten and Paschal Cycle". oca.org.